The best digital marketing strategy is the one that converts – right? But how do you make that happen? Better still, how can you improve your strategy to increase your sales conversion rate? 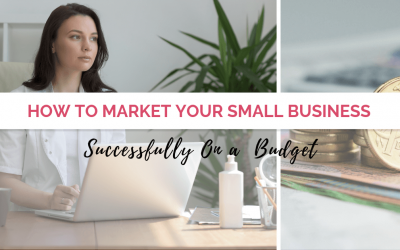 You might have started sending out your sales pitches or promotional emails, or boosted social media posts, but seen little results to show for it. When you are investing a lot of time and a hefty portion of your marketing budget (and your time) into ads and promotion, you obviously want it to work. Contrary to popular belief, price is not usually the determining factor in lack of conversion, yet it is usually the first thing we jump to change. 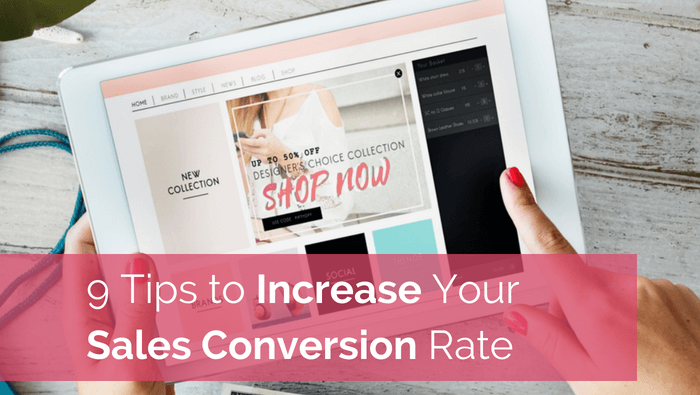 Before you start lowering your prices unnecessarily, address these 9 quick tips for increasing your sales conversion rate. don’t trust you as a credible source of information. All of these things you can address through consistent branding and a well planned content marketing campaign; especially the issue of trust. Lack of trust comes from too many sales pitches or those that are poorly worded. It also comes from sales pitches that don’t respect the audience or that try to manipulate them. We’ve all seen them, we all hate them, so like your mum always said: “Treat others how you want to be treated”. If you push people to buy from you too soon, you will not convince them to trust you. At a minimum, they will ignore your call to action, and at worst they will tell your friends not to do business with you as well. Building relationships and trust is an integral part of setting your business up for repeat business and awesome word of mouth referrals; both the best type of marketing you can get! Communicating value means several things when it comes to sales, and varies from customer to customer. Show your customers that you understand and empathise with them. Outline the problem they have which you can solve, and then describe how much better off they will be after taking action on your offer. You are trying to connect with your target audience, so be honest and clear about the problem you solve or the value you provide for your customers – without waffling on! Unnecessary copy or explanation is tedious, distracting and can result in confusion and buyer doubt. The features of your offer need to have enough detail that your customer understands them. Product descriptions or sales pages also need to highlight the outcomes and benefits for the customer. Failure to address these will result in doubt in the buyer’s mind and lack of conversion. Explain why your product is worth the money, what makes it unique and what makes it better than any other option already out there. Communicate all of this value before you list the price so that your customers understand the basis for your pricing and can properly assess it’s worth to them. Answer customer questions are answered upfront. And most importantly: make it as easy as possible to purchase! When writing a sales page, promo post, or talking to a client on the phone, only include the information that you need and remove anything that is unnecessary or distracting. Don’t fill your pitch with jargon or business language, and don’t try to be too smart for your customers. Talk about your promotion as though you are having a conversation with a friend. You don’t do this by lying to them or being mysterious; you do this by targeting your ideal customers and then connecting with them through the use of targeted language and messaging. what may not make sense to the customer? why would a customer not buy? If you find yourself too close to the campaign to review honestly, ask a few friends to review and answer these 3 questions. 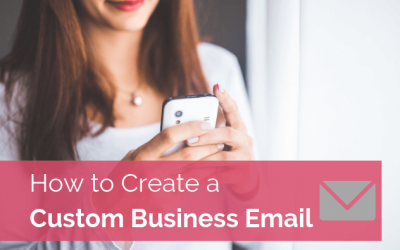 Have a clear call to action and include CTA buttons several times in your sales pitch. The CTA should take them directly to a landing page or checkout that will give them immediate access to what they came for – do not include any extra detail that they don’t need or that distracts them from the goal of the sales page. Use the same branding and media in your sales pitch and advertising to that of your landing page to remove any ambiguity that your customer has come to the right place. Consistency of your message and brand is critical to maintain trust. Streamline the steps in your sales process. 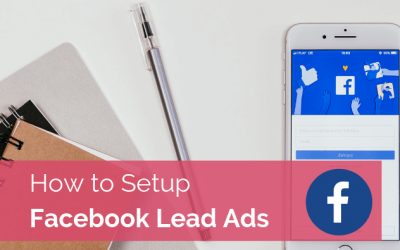 Review how many steps there are between an ad or social media post and getting access to the product or service you offer. Can any of them be merged, removed or improved? TEST! A sales or advertising push with broken links or malfunctioning checkout is not doing you any favours. Always test before promotion. Lastly and most importantly, ensure your checkout or buying options are mobile responsive. With such a huge portion of sales coming from social media, email marketing and PPC advertising, it is imperative that all parts of your online sales process is functional on a mobile device. This also includes your contact form should the customer have pre-sale questions. Sometimes customers just need a little nudge! Offer incentives to people to act quickly, or explain in some way why they can’t wait or sit on this offer until later. Communicate the time period your offer is available for, which will encourage anyone who believes the purchase is right for them into taking affirmative action and converting. Urgency or scarcity is another option for drawing sales, but I recommend not disrespecting customer trust in doing so. Authenticity is important. The sole purpose of the sales pitch is to make a sale. How can you make yours irresistible? what would make them not buy a solution to this problem they are having. The language they use in their responses can help you create sales pitches and write advertising copy that speak directly to your target market. This is guaranteed to increase your conversion rate because you are talking the language of your customer. You have become the answer they’ve been looking for all along! You may also find that the customers think they have a different problem / need to what you know is the real need. Switching your messaging to target what customers “think” they need can dramatically increase the interest in your offer. Here’s where we get a little techy in finding out more about how you can get your offer in front of more of the right customers. What search terms do they use to find what you offer? What platforms and websites do they trust? What problems do they have with existing products (aka down-sides to competitor offers)? What do they need that they aren’t currently getting? What do you do that they don’t like? Also consider these 10 things you should know about your customers. Consider the above to create and deliver a marketing plan that converts. Tracking and analysing data is not usually high on the priority list for many business owners (which is what keeps me in a job!) but to increase your sales conversion rate, it is one of the key parts of the marketing puzzle. After all, as the famous quote states: “what gets measured gets managed”. Track performance during the promotional period, so that you can quickly change your approach if it’s not working as well as you had expected. Ever heard the saying “you’re floggin’ a dead horse”? Don’t let that be you. It wastes your time, money and energy. Ain’t nobody got time for that!! Your promotional marketing and sales pitches should be living, breathing entities to be constantly improved. It is highly unlikely that you will find the perfect pitch that always works, and that you can use forever more. Therefore, track the performance of previous sales campaigns and make adjustments to what isn’t working when crafting your next campaign. Different things will work for different customers and at different times, so the best approach is one that is constantly evolving. Robyn has more than a decade experience helping small businesses and entrepreneurs from a variety of industries to optimise and grow, as well as building several of her own. Professionally trained in business management, communication marketing and multimedia, she helps businesses understand and connect with their audience, get found online, and streamline their customer experience as well as in-house processes to improve business efficiency and sustainability. 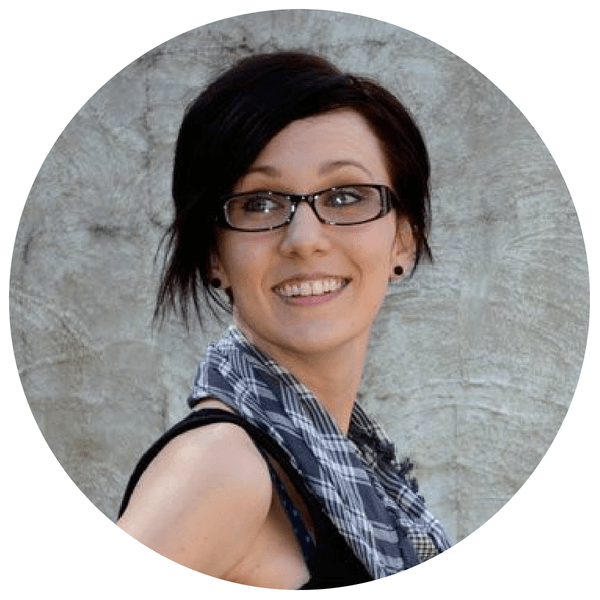 She also loves to get her geek on over SEO; it’s her jam.